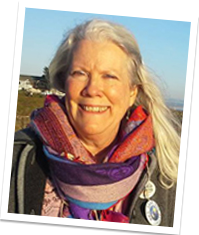 Donna is a co-leader/facilitator of several of our Sacred Adventures, especially in California and Germany. She is a Minister and Teacher of the Mighty Way as ordained in the Mystical Order of the Divine Presence while living in Germany. With a foundation in Christianity and Metaphysical training as a Healer and Counselor, Rev. Glory has pursued the Teachings of the Ascended Masters and the Mystical Paths of the Worlds’ Religions in America, Europe and Asia.